Think back to a time when you have been part of a great team, in or out of work. It was likely to be a place where you felt you belonged, somewhere you enjoyed going to and that charged you with energy; you were probably encouraged to achieve goals beyond what you thought was possible. It was fun, perhaps even exciting. Now think about a team from hell. A team where conflict rules, a place where people are afraid to speak openly and honestly. Work is stressful, the business is failing and your customers are unhappy – and you can’t wait to find something better. You may have experienced both scenarios or neither, or perhaps something in between? We would be happy to put a week’s wages on which option you might prefer! 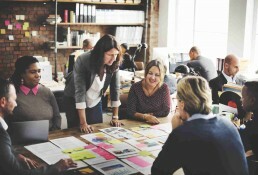 Our half day interactive workshop can help your team collectively assess where they are now, where they want to be and what steps they may need to take to get to a collective goal. This workshop has been created to work as a ‘stand-alone’ opportunity, or one that can be followed by one of our fantastic events. We never use ‘off the shelf’ content as we always prefer to talk with you to understand what you want to make better – and why. For this topic, we might ask you about your culture, values and behaviours to support the design of your unique session. This makes it more likely that the experience will be understood by everyone and that you’ll begin to see positive changes soon afterwards. 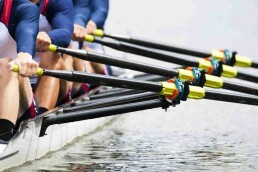 How can a high performance teamwork workshop benefit your team?